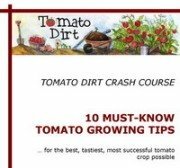 Tomato sunscald is a problem caused by growing conditions – specifically intense, direct sunlight for extended periods during very hot weather. The excessive sunlight discolors patches on ripening or green tomatoes. What does tomato sunscald look like? When does sunscald affect plants? How can you control sunscald? 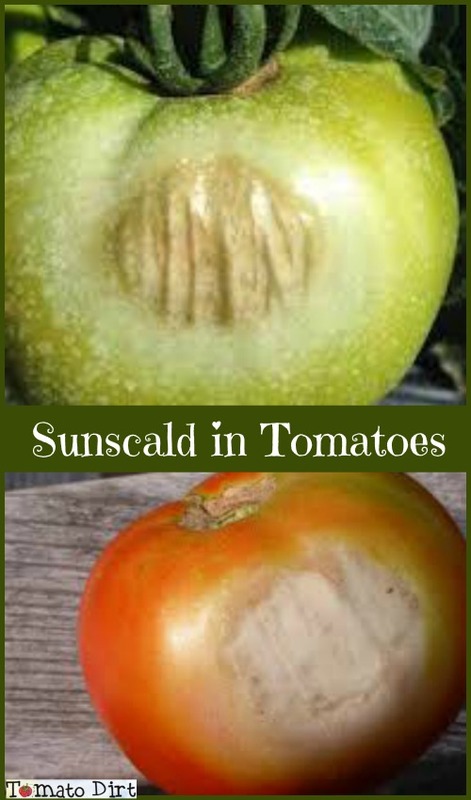 Sunscald is irreversible once it’s impacted a tomato, but its progression can be slowed. You can leave exposed fruit on the vine and cover it with lightweight screen, shade cloth, or straw to protect if from further damage. You can also harvest sunscalded tomatoes and let them finish ripening on a windowsill or kitchen counter. Can you eat tomatoes affected by sunscald? Sure – as long as black mold hasn’t set in. To eat, simply slice off affected parts. How can you prevent tomato sunscald? Try some of these tips! Don’t over-prune tomato plants, especially in hot climates. If you leave extra branches on plants, you’ll provide extra shade for fruit. Keep plants healthy and treat tomato problems as soon as possible. Tomato wilts, blights, and leaf spot cause plants to drop foliage, which expose fruit to excess sunlight. When the forecast is for extended hot, dry weather, shield plants with a lightweight screen, shade cloth, or straw to protect fruit from over-exposure and hopefully prevent sunscald. Consider growing tomato plants upside-down to shade fruit. Get more tips on our Tomato Problems Pinterest board.